All the walks are led by experienced volunteers, who are all members of the Rail Rambles association (many are also members of the Ramblers). Rail Rambles itself is not an official Ramblers group, though we are planning to become an affiliated group soon. As a charity, the Ramblers do so much to protect and promote public footpaths, giving us access to open spaces. 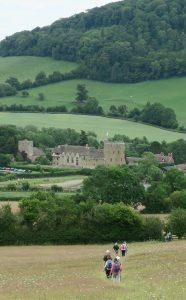 We are grateful to Powys Ramblers for their assistance, which has enabled us to publish a printed programme and to run this website. Also Arriva Trains Wales deserve a very big thank you for their support over the years, as this has given our leaders the opportunity to travel freely to explore new walks and ensure that our programmed walks are as safe as possible. The story of Rail Rambles – how did this all come about? We can thank Alan Howard, a keen walker originally from Lancashire who ended up relocating to Shropshire. His enthusiasm for using public transport to access the countryside, coupled with a chance meeting with a Welsh railway executive in 1989, led to the formation of the original Rail Rambles. At first, rail rambles were held on a monthly basis and then over time became fortnightly, then once a week, with a dozen or so people on each one. In those early days, the programme often focussed on one particular railway line (the Heart of Wales or Cambrian). 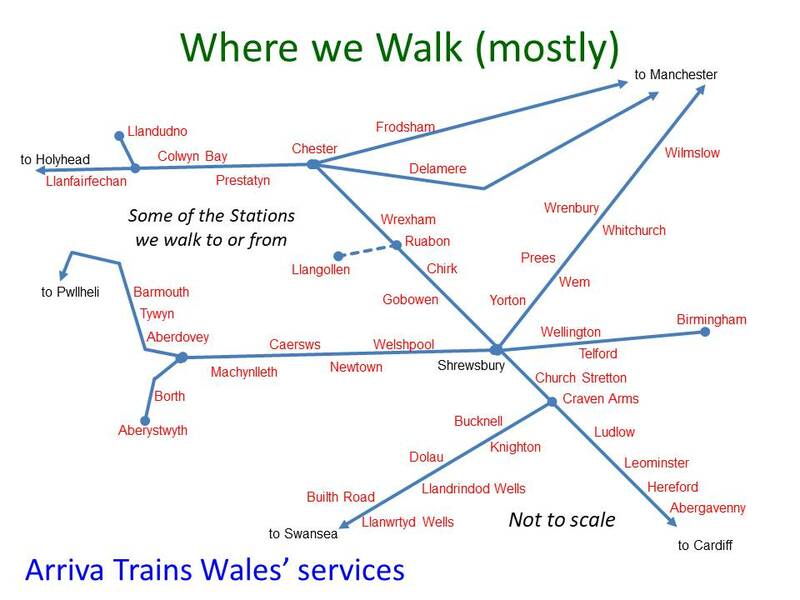 We occasionally run walking weekends in North Wales or in other centres around the edge of our ‘usual territory’ (including Conwy, Manchester, Cardiff, Runcorn, Coventry and Llandudno) which gives us access via public transport to different places and more great walking. The weekends aimed at those who prefer shorter walks have generally used reasonably prices hotels, but those offering longer walks might be rather more adventurous. Keep an eye on the website for news of any planned trips. Although we primarily walk in rural areas, Alan Howard was keen to promote Town Trails. These date back to the 1990s but came to the fore during the 2001 outbreak of foot and mouth. We have had Town Trails around Abergavenny, Aberystwyth, Birmingham, Chester to name just a few. One of the highlights was walking through the Netherton Tunnel and having a canalside lunch under Spaghetti junction. 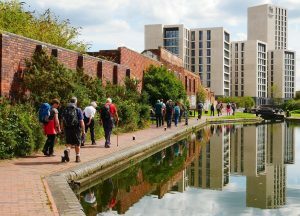 These urban Rail Rambles lapsed for some years but the idea has been resurrected recently and we’ve explored Liverpool, the Black Country and Birmingham. They provide an interesting contrast to our countryside walks. In 2014, we celebrated our 25 years anniversary with an afternoon buffet in a village hall. To call it a buffet does not do it justice, it was the most fantastic spread and made a great change from eating our sandwiches sitting in a field! It was a very popular opportunity for walkers to socialise and for retired ramblers to join us for a catch up. Just recently we have set up the Rail Rambles association which is a membership organisation for our leaders and organisers. This set up is a bit more formal than we have been used to but it will make it easier for us to manage the walking programmes and look after everybody involved, including you. For the future, why not become a part of it and come along to see for yourself?